Nine by Nine is an english publishing house who love art and wanted to find a way to provide a platform for illustrators and designers to showcase their work. So we only add nine new prints every month, because we believe they deserve the spotlight. I designed a poster about "From the Earth to the Moon". Jules Verne's literature has been through my life. I read it as a child, as a teenager and I rediscover it as an adult. "From Earth to the Moon", one of his greatest novels, is a wonderful adventure fable. 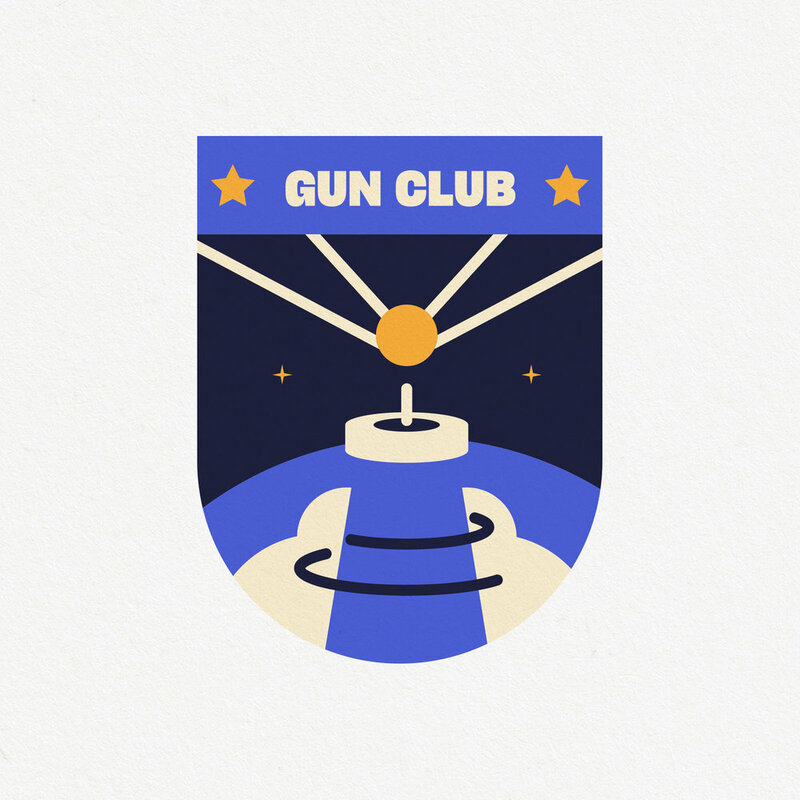 For lack of war to get their teeth into, Old gunners from Baltimore Gun Club in search of new experiences, decide to send a giant cannonball inhabited by men towards the Moon. Here is a series of commemorative stamps, like an anachronistic version of the adventure, where the ball becomes rocket! Fasten your seatbelts, I take you to the moon!